The most shocking revelation was when he said that he was “bisexual.” This has shocked the housemates and the most exciting part is when he will be able to talk to his twin. The question is, what will be Fourth’s reaction on this? Because of that, he could rest well and he kept thinking about the issue. 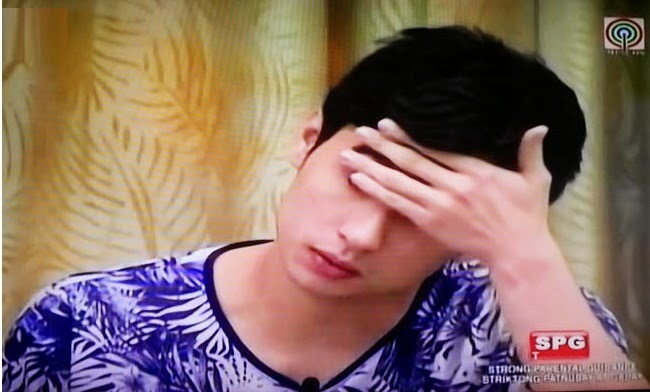 Fifth decided to talk to Big Brother in order to deal with the issue and at first he kept to talking about being true to himself and that he needed not to prove anything but Big Brother asked him a big question with an answer that could change his entire life inside the PBB house. Fifth again explained that he was so afraid that the people around him will change and that they will not treat him well and understand what he is going through. In the end, Fifth admitted that he is bisexual. It means to say that he is open to have a relationship either with a male or a female. When he confronted his brother, Fourth was trying to explain as if he didn’t hear Fifth. Fifth said to him that he admitted already everything to Big Brother regarding the gay issue. On the last part of the PBB All In episode, Fourth was being interviewed by Big Brother. His final word is “tanggap ko sya ng buong buo.” Watch PBB All In tomorrow for the continuation of Fourth’s reaction on Fifth’s confessions of his sexuality.